Broadwater Osteopathic Practice- Why Choose us Worthing? Broadwater Osteopathic Practice is a long established practice in Worthing, West Sussex but why do people choose us? Choosing where to go for treatment can be a tricky task, with so many places offering the same services and at roughly the same fee. How do you choose which is best for you? Over 90% of our clients come to us via word of mouth, but for those that don’t, the market is wide open. When searching for a practice you may consider what services they offer you? What therapists they have? If they provide rapid access to treatment and at a time you can make it? Can you park? Are the practitioners any good? How far is the practice from home or work? The list is endless. So why have our clients, not recommended by friends or family, chosen us? These are some of the reasons we have been given, other than location and some insight as to what may make our practice different to others. 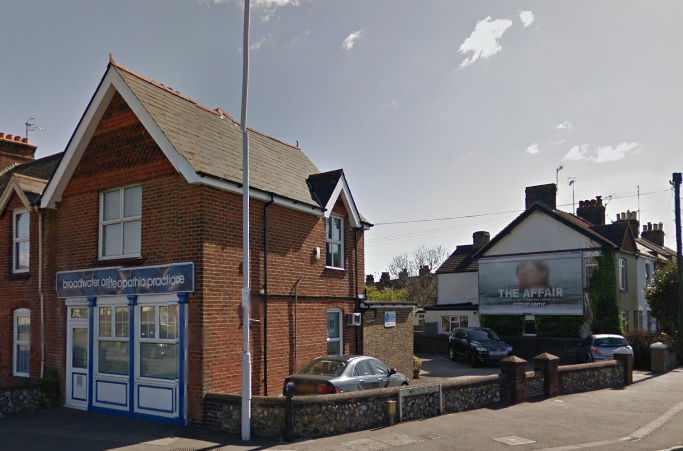 Broadwater Osteopathic Practice (BOP) has been established in Worthing for over 30 years- Having been in town for many years and at the same location for over 25, people know of us. Often they have passed the building or seen our signs. Our longevity also means we are doing something right. Rapid access to treatment- Our mission is to offer rapid access to treatment. Our team of 7 osteopaths means that we can offer this 6 days a week, expanding to 7 soon and from 8AM-8PM. We appreciate that being in pain, which is main reason people make the 1st call, is distressing and rapid access to treatment is essential. A brand people can trust- Broadwater Osteopathic Practice has always been a trusted brand. If we don’t think we can help you, we will tell you. Not every patient is suitable for treatment. We don’t block book patients in for courses of treatment, but work in partnership with you, to decide at each session what is best for you. Free onsite parking- Parking is an issue in Worthing and having a carpark on-site as well as lots of local free parking is a huge benefit when clients are limited in mobility or in pain. Friendly, welcoming staff- Our practice very much work as a team. Many of us have worked together for years and it is known at BOP, that other than for retirement reasons, staff don’t tend to leave. We learn from each other, share experiences with each other, review cases together and actively build and promote the practice together. Our team is more like a family unit. The more experienced members of the team work to shadow the newer members and mentor them too. The therapist choice- We have 13 therapists at BOP and due to our teamwork we know who among us may suit you best. The reception team will tend to guide this from the moment 1st contact is made and they learn about a client’s problem. With a wide scope of therapies and a wide scope of technical specialisation between therapists, there is generally someone who is perfect for you. Treating from head to toe, for body and mind too. GP or consultant referred- With our longevity in Worthing, we are known to many of the local GPs and consultants and some of our clients will have been recommended to Broadwater Osteopathic Practice via this route. The clinic actively promotes relationships with all local surgeries to enhance communications for our clients. In the community- Many people will have seen us in the community and we actively help to support our town and our local charities. This year alone we have worked with Guild Care, Chestnut Tree House, Ferring Country Centre and St Barnabas to raise money for the charities and support local causes. We also work with local businesses to offer employee wellbeing. We offer our time and services free for this, as community partnerships are important to our team and ethos. These are just some of the reasons our clients have said that prompted them to choose BOP. For further information about our practice, please see the website at worthingosteopathy.com or call on 01903 820206.